I’ve been doing most of my waiting in waiting rooms in the medical setting. Of course there are other kinds of waiting areas: those for transportation (i.e., airports, train stations); those for products (mainly lines, for tickets, new product releases, etc. ); and for services (which may include lines and seating areas, such as the Department of Motor Vehicles). 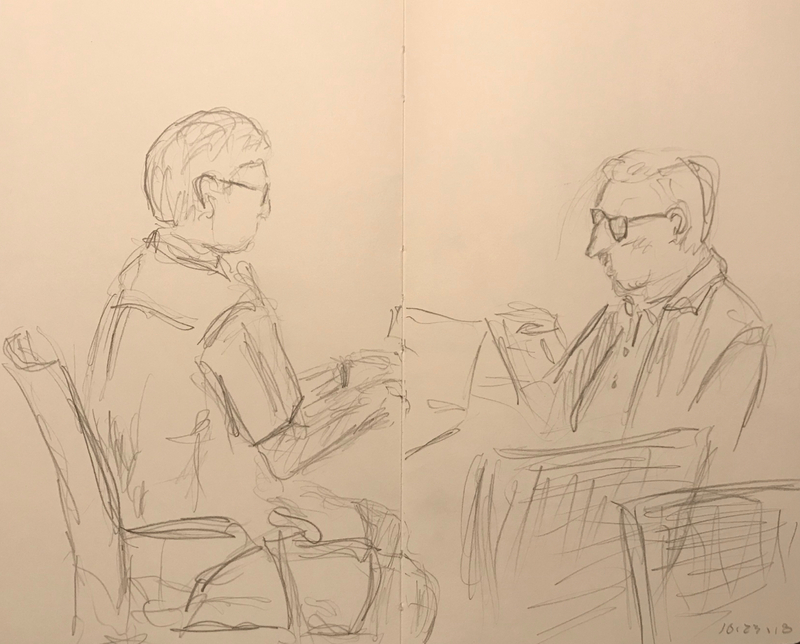 The guys in the sketch below were both chilling out in the very large waiting room at the car dealership. This entry was posted in Personal Stories and tagged art, artistic process, creativity, double portrait, drawing, pencil sketch, portraiture, sketch, visual art, Waiting Room. Bookmark the permalink.